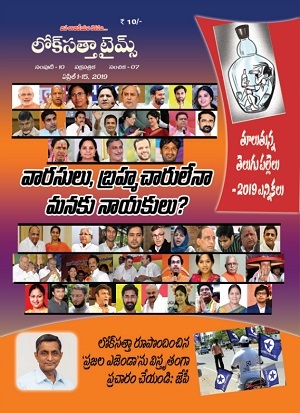 “Neither KCR needs a visa to visit Vijayawada nor Jagan to visit Warangal,” said the Lok Satta Party today and added that every Indian has the fundamental right not merely to visit, but live and work almost anywhere in the country. Addressing the media, party leaders Katari Srinivasa Rao, V. Laxman Balaji and V. Vijayender Reddy took exception to threats being hurled against such visits and attempts to fan regional animosities. They said they could not understand why there should be hullabaloo, when Mr. Y. Jaganmohan Reddy, Kadapa MP, planned a visit to families which lost a member following the death of his father and Chief Minister Dr. Y. S. Rajasekhara Reddy in a helicopter crash. The Lok Satta leaders said that who differed with Mr. Jaganmohan Reddy could have ignored his planned visit instead of holding out warnings and threats. Politicians should realize they would succeed if they base their arguments on the strength of their cause and not by threatening their perceived opponents. The Lok Satta leaders regretted that politicians and the media had given undue importance to a small issue, not paying enough attention to problems ranging from the havoc caused by cyclone Laila to acute drinking water scarcity in the State. Then why is JP visiting the US rather than go to the areas affected by Laila and helping the people. 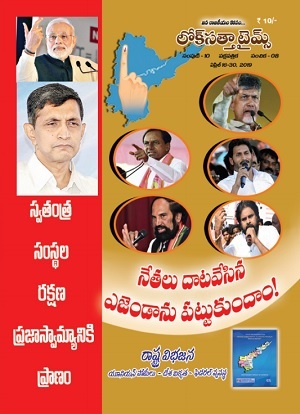 Loksatta and JP were the only hope for people in terms of a better leadership till the elections. That's the reason a lot of educated youngsters have voted for him, who would have otherwise voted for the TDP and this resulted in a win for the Congress. Agreed that nobody needs a visa to travel to any part of India. But still, there are restrictions on visits to the North-East, reason being the volatile security in the region. Indians from other states cannot settle in Jammu & Kashmir for the same reason. When the situation was declared volatile in Telangana, Jagan had no business touring there. His odarpu might be genuine, but if he is a real genuine politician who cares about people of his country, he should have postphoned his visit. It is only his arrogance that has led to the protests. Also, his own Media - Sakshi TV, had reported, the previous day, that there were around 3000 policemen deployed in Warangal. Where did these policemen disappear overnight?